New York was the tap capital as early as the 1800s. The dance form’s origin is not well documented, according to Brian Seibert, the tap historian, New York Times dance critic and author of “What the Eye Hears: A History of Tap Dancing.” But over hundreds of years, he said, the genre developed as slaves’ traditions from Africa mixed with immigrants’ traditions from Europe (Ireland and Britain, in particular). Learn more here. 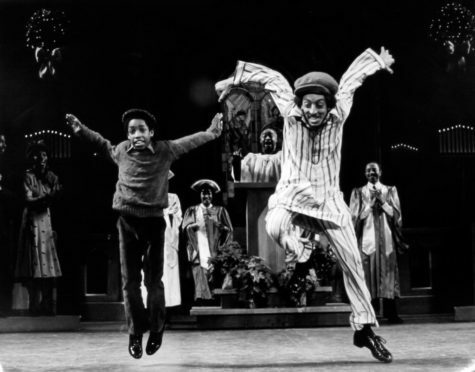 Pictured is Gregory Hines tappity-tap-tapping in the Broadway musical “Comin’ Uptown” in 1979. “Road Show” To Be Road Show? “Dancing”: The Most Talented Lost? Dance: Nudies! Nudies! Nudies! Nudies!